Witbank is not “White” anymore. You can not see anything there. Coal power stations are the biggest culprits in the hotspot area. Greenpeace says an analysis of sophisticated satellite data shows Mpumalanga as the “worst” nitrogen dioxide (NO2) air pollution hotspot across six continents. It has been reported before that the Witbank area has the world’s dirtiest air‚ and now this analysis of high-tech satellite data has revealed that the Mpumalanga province is the global number one hotspot for NO2 emissions‚” said Melita Steele of Greenpeace Africa. Waar gemyn word in Suid-Afrika word nie altyd gerehabiliteer nie. Plofbare situasies en onooglik – onveilig. Eens was hierdie ou ongerehabiliteerde myne waar daar voedsel geproduseer was. Die regering skep hierdie unieke prentjie dat ons blankes al die grond besit, wat onwaar is, ou myne en huidige myne, saam Eskom beslaan honderde duisende hektaar grond. Die Honger na mag en geld – minerale en veral steenkool word uitgehaal, soms netso gelos, sonder rehabilitasie – alles word ingepalm, en min word regtig aan al die slafoffers spandeer wat inasem vir elektrisiteit en die eksplorasie van steenkool. Voor 1994 het ons op plase beslis nie so tekere gegaan om minerale rykdom te verkry nie. Maar die hele Afrika is nou in Suid-Afrika om te myn. Hoeveel ander immigrante hier is, kan ook nie weggesteek word nie – Chinese – Guptas – almal ‘n stukkie van BRICS. As die verskillende myneksplorasies uit die lug beskou word , is dit onmoontlik dat daar ‘n steenkool tekort kan wees. Geen beheer oor al hierdie myne. Al hierdie myne was eens plase wat mielies en voedsel verbou het. Die regering moet verantwoordelikheid neem vir slagoffers se gesondheidsprobleme. Wanneer daar snags geslaap word, word kragstasies gestook. Die volgende dag is mense moeg, sinus en die alewige gehoesery wat nie endkry nie. Hoe swart moet die long nie wees as die normale besoedeling rondom huise swart stof is. Daar is ministers wat na alles behoort om te sien, maar die standaarde wat deur wetgewing bepaal word word min toegepas. Wette gaan deur op provinsies sowel as plaaslike owerhede, wat ook bywette het om toe te sien dat daar minder besoedeling plaasvind. Lugbesoedeling – wat opgaan kom af en dit besoedel ook die water en omgewing. The satellite data used in the analysis was taken from June 1 to August 31. It shows that Johannesburg and Pretoria are also affected by NO2 pollution‚ which is blown across from Mpumalanga by regular easterly winds. The list of the world’s nitrogen dioxide hotspots is made up of places where there are coal-fired power plants – in South Africa‚ Germany and India‚ as well as nine coal-powered industrial clusters in China. Residents of eMalahleni in Mpumalanga are concerned about their health. Many have complained of respiratory problems. The city has been identified as having the dirtiest air quality in the world. The European Space Agency conducted research using satellite imagery. Greenpeace released satellite data from June to August 2018 which reveals the world’s largest Nitrogen Dioxide (NO2) air pollution. “Because South Africa’s coal-belts are hidden from view for the majority of South Africans, it can be easy to pretend that they don’t actually exist. The reality is that coal extraction and burning has devastating impacts on the people living in the area. 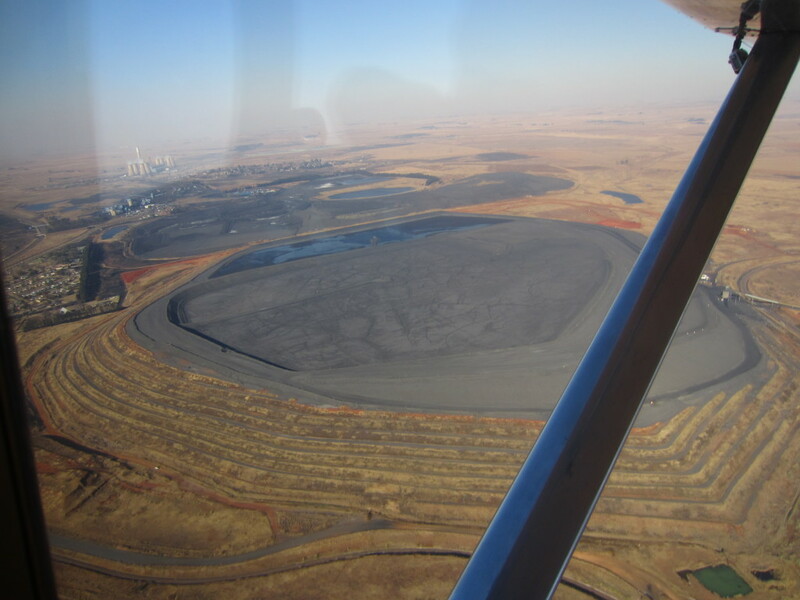 This satellite data now confirms that there is nowhere to hide: Eskom’s coal addiction in Mpumalanga means that millions of people living in Johannesburg and Pretoria are also impacted by the pollution from coal,” continued Steele. 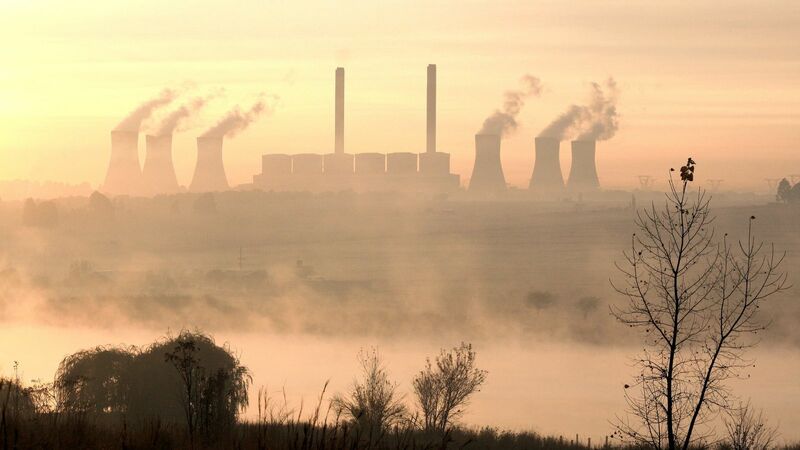 Late last year, the analysis of satellite data showing air pollution around the world revealed that the coal town of Emalahleni in Mpumalanga is the largest nitrogen dioxide hotspot across six continents. With the World Health Organisation estimating that seven million people around the world die from air pollution every year, what can local government do to respond to the public health crisis? Carte Blanche travelled from the town with the dirtiest air in the world, to Vaxjo in Sweden, a town striving to be the greenest in Europe, to learn how South Africa, can clean up its air pollution. That article was still as relevant as ever when two weeks ago, CER Executive Director Melissa Fourie took the same flight with the Bateleurs: taking off east of Johannesburg and flying south towards Ogies and Kriel, Hendrina to Arnot and Middelburg, and then back via eMalahleni. A year later, the devastating effects of coal-fired power, fed by vast opencast coal mines that decimate water resources, biodiversity and productive agricultural land, remain frighteningly evident. A thick layer of smog lies over large parts of the Highveld – much more visible from the air than by those who have no choice but to breathe it. There are at least two power stations, sometimes three, wherever you look. 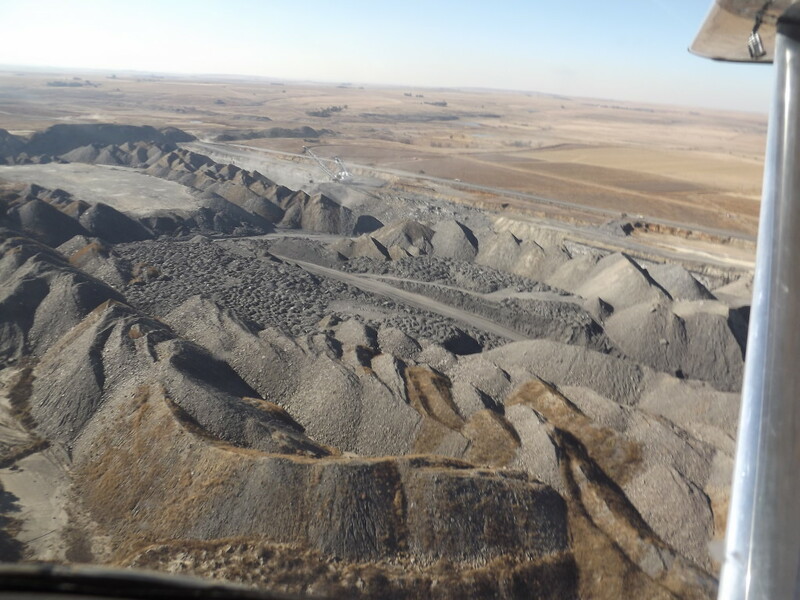 Thousands of hectares of previously-fertile land and functioning ecosystems lie destroyed by opencast coal mining – even land that has been “rehabilitated” post coal mining, of which there is precious little in South Africa – can never again support productive crop-growing. The Department of Mineral Resources continues to grant mining rights across the Highveld, often in areas of sensitive and irreplaceable biodiversity, and in precious fresh water catchment areas. The failure of this Department to conduct any cumulative impact assessments, to take into account the objections of other organs of state to the granting of new licences, and to conduct any meaningful enforcement of compliance with environmental laws, has created a toxic mess that poses a severe threat to South Africa’s food and water security. 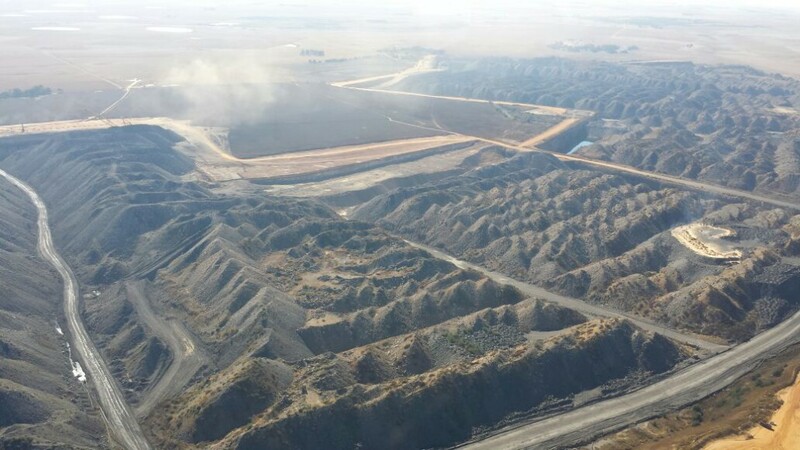 And to make matters worse, the Department of Environmental Affairs has now granted Eskom, Sasol and other polluters five – and in many cases ten – more years to pollute at levels that exceed South Africa’s already-weak emission standards, despite the clear and proven health risks posed by current poor air quality on the Highveld. 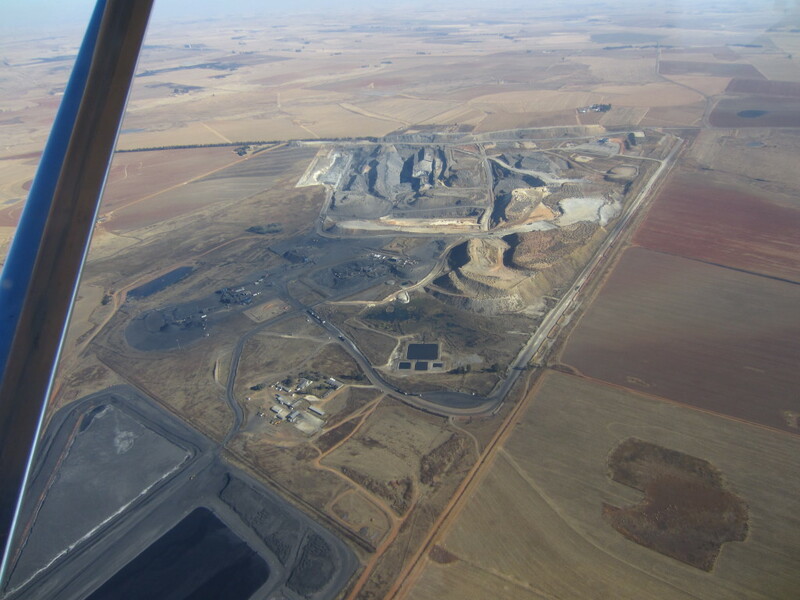 While new Eskom power station Kusile is still being built, at least three more privately funded coal-fired power stations are being planned for the Highveld. The provincial government and local authorities seem unable or unwilling to even try to stop this juggernaut. And we continue to wait, despite years of promises, for Cabinet to approve a strategy to address toxic domestic coal burning for those who live amongst the power stations, but cannot access or afford electricity. 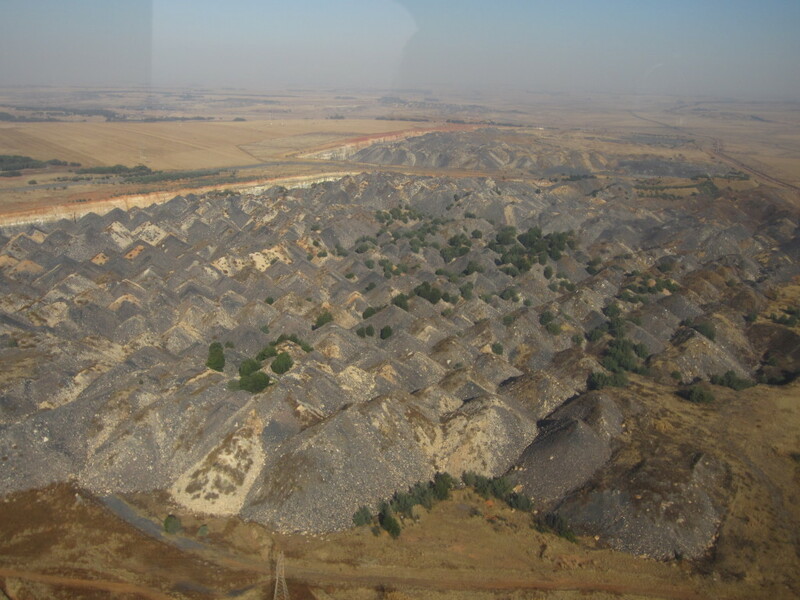 Coal mines within the Witbank Coalfield are owned and operated by a number of coal mining companies, while many mines are abandoned and may be classified as “derelict and ownerless” in terms of Section 46 of the Minerals and Petroleum Resources Development Act (Act 28 of 2002). This mining district covers a very large area (the catchment feeding the Loskop Dam, the most affected waterbody in the area totals 11,500 km²) and includes mines encompassing all stages of mining, from exploration through modern operating mines, mines undergoing closure. 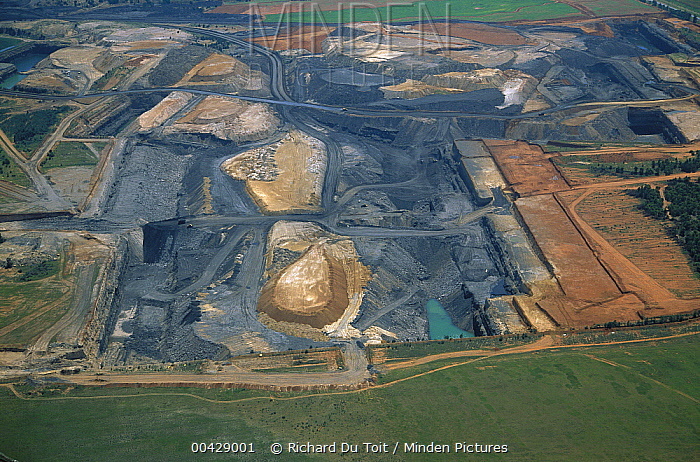 The Council for Geoscience identified a total of 209 abandoned mines in this catchment, including 118 coal mines. The town of Emalahleni was established in 1890 to establish coal deposits located in the vicinity. This became feasible after 1894, with the construction of a railway line to Pretoria. Since then, Emalahleni and its coalfields have contributed a significant proportion of South Africa’s coal production and the area has become an important industrial town with industries including power generation and steel production. Water pollution sources in the mining areas include operating, closed and abandoned mines, with acid mine drainage and related metal contamination forming the most important problems. 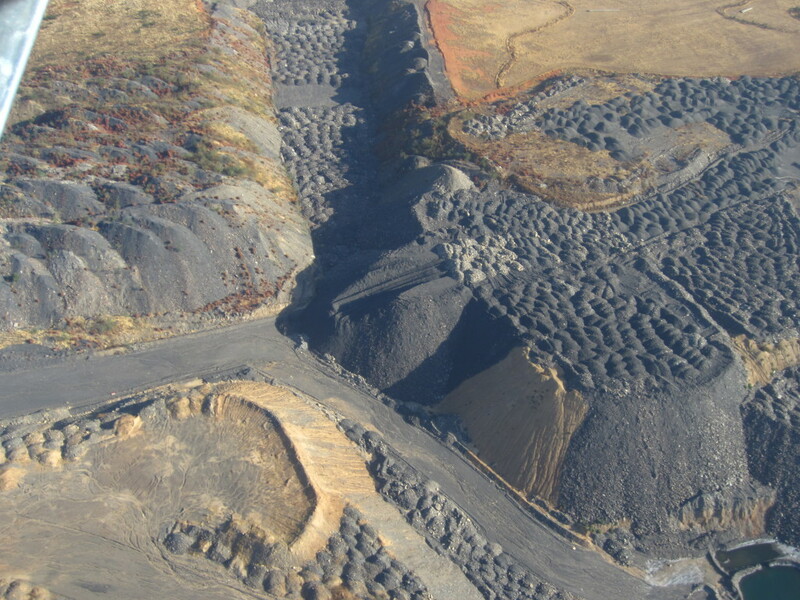 Important sulphide bearing materials which can lead to the formation of acid mine drainage include the coal and discarded material and some of the overburden materials used in the rehabilitation of more modern open-pit operations. 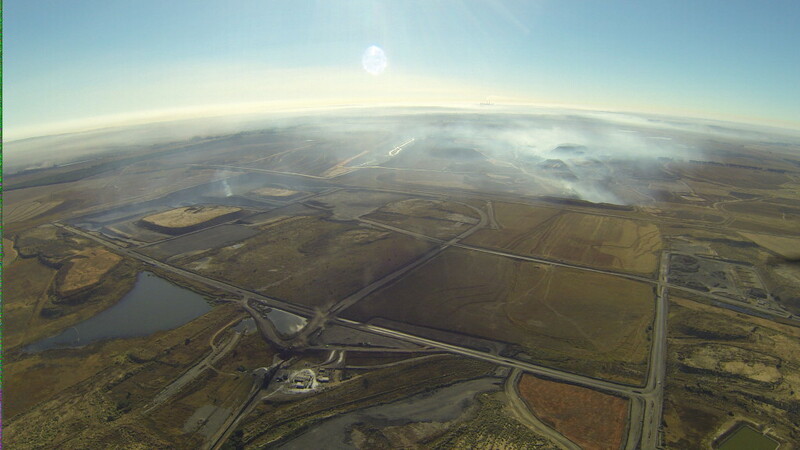 In addition, many wetlands and rivers are believed to be clogged with coal dust. Other issues include those common to most mining areas in South Africa, where with the promise or expectation of jobs resulting in the creation of large informal settlements with high levels of poverty and unemployment. 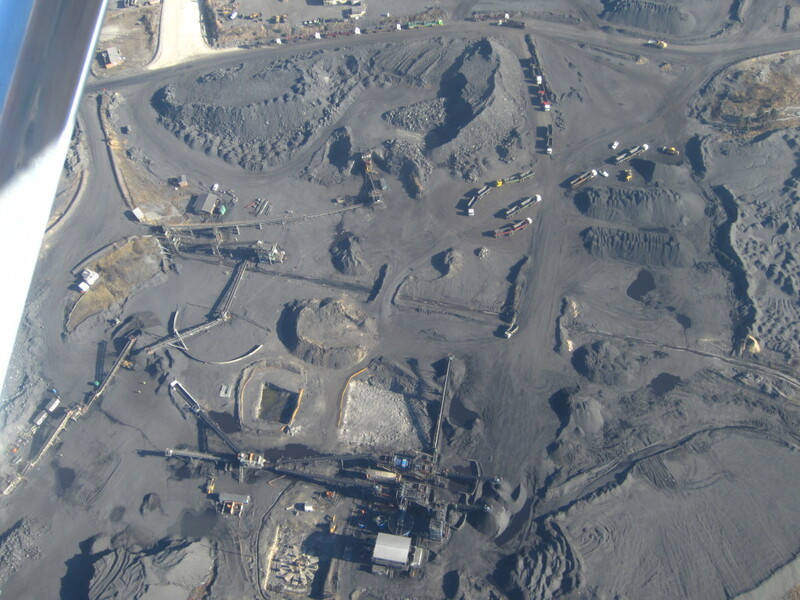 The physical and pollution hazards resulting from coal mining exacerbate many of the related societal health problems. Next Post “Who owns the world”?